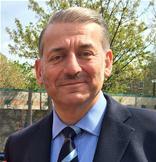 Joe Carlebach is a Councillor for Avonmore and Brook Green Ward on Hammersmith and Fulham Council. As the conflict rages in Syria and the utter devastation unfolds in front of us, on our TV’s, laptops and in our newspapers; as our hearts go out to the stream of humanity forging its way through hostile countries to get to the perceived safe havens of Northern Europe, a question keeps coming back to me. Watching this melee from afar – which seems to be a fight for the survival of the fittest of biblical proportions – I ask myself: what is to become of the orphans of this conflict who are inevitably growing in number at an alarming rate? These are real innocents who have lost everything, and whose life chances diminish by the day – whether they are in the large refugee camps in the countries immediately surrounding Syria, still trapped in the numerous conflict zones within the country, or swept up in the great tide of forced migration. The crisis facing these children has particularly affected me, both as a father of three young children and as the son of a child who arrived in this country on the kindertransport in 1939. Indeed, the plight of the Syrian orphans is very similar to the children of the kindertransport, the majority of whom were soon to become orphans (unbeknown at the time). More orphans were rescued by Allied forces in 1944 and 1945 from the ghettos and concentration camps, and there were yet more – the orphans of the occupied countries living amongst the rubble of what remained of continental Europe at the close of the Second World War. At that time, there was a huge and carefully constructed campaign to collect the liberated children, count them, document them and provide them with new homes, and draw up at least a rudimentary plan for a future: to care for their physical and, perhaps more importantly, their emotional and spiritual well-being, since they had almost literally been to hell and back. Mistakes were made in these programmes – but the point is that there were programmes. Where, I ask myself, are the the programs to rescue and sustain the orphans of Syria? There are some periodic low-key news items, and a few quiet appeals from a number of charitable organisations. To me, the cry of the orphan is drowned out by the noise of conflict and the huge numbers of refugees seeking safety and prosperity. Let us join together and call for a concerted effort from all governments, especially our own, to act decisively now to rescue these children, and find safe havens for them where their lives can begin to be rebuilt. This includes specifically offering orphans a safe home here. This is something that we can do both as a sovereign state and as part of an international community – at least partly to make up for our less than impressive handling of the Syrian crisis so far. Let’s see Syrian orphans as the number one agenda item at the United Nations, at the next major European Union summit, at the next meeting of the Arab League. Let’s do it now, before compassion fatigue sets in – which we can be almost certain will happen (as the history of other major conflict zones demonstrates) and these children become just another series of victims of conflict and our impotence. The one great common denominator for all these orphans is that simply and obviously that they are all children. The fact that they may be Muslim, Alawite, Kurd,Christian or anything else is frankly irrelevant. They are all vulnerable children and, as such, should demand our support, our help, our assistance and our prayers. Above all, they need us to act and act now. We need to show with direct and immediate action that we are the civilized, caring society that we believe we are – just as we did in this great nation of ours in the dark days leading up to and during the Second World War. The consequences of inaction are dire both for the children in question and for our integrity and well being. I know from bitter experience the life-long impact of such trauma and I feel compelled to make this plea. This post orginally appeared on Conservative Home. ← St Peter’s Square Needs You!